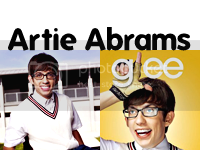 Kevin McHale's love for acting and singing began after he appeared in local commercials in Dallas. Since making the move to Los Angeles, the multi-talented actor has appeared in various television and film projects. 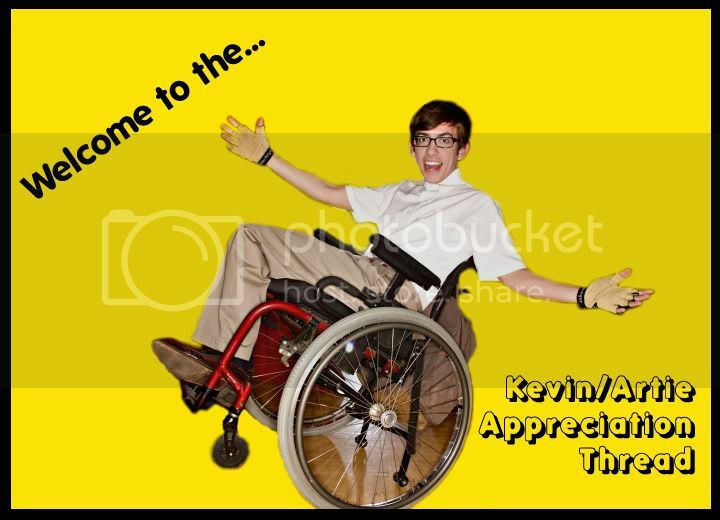 Kevin McHale was most recently seen on the critically acclaimed cable series "True Blood," and his additional television credits include "The Office," "Zoey 101" and "All That." Kevin McHale also had a role in the feature film "Bratz." 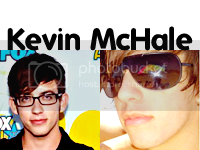 In 2003, Kevin McHale joined the boy band NLT (Not Like Them), a Pop/R&B/Hip-Hop group responsible for singles "That Girl" and the Timbaland-produced "She Said, I Said." As the opening act for the Pussycat Dolls, Kevin McHale and NLT have traveled all over the U.S. performing in the national House of Blues tour and the 16-date "Bandemonium" tour. Bio to come with more episodes and more information on Artie. Because he has pull with the jazz band. Because he sizzed his finger. Maybe it's a case of forgetting? Yep. Keep this thread alive!! Yay finally a new thread! Anyone want to do an Artie scene wishlist?